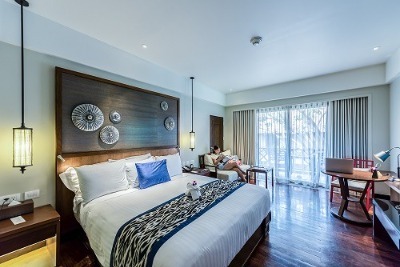 Rooms are categorised into four - Standard, Executive Standard, Double and Executive Double, Classic Executive and Suites. Room features include air conditioners, comfortable beds, mini refrigerators, flat screen TV, reading chairs and tables. Bathrooms are en-suite and are fitted with showers. Adequate facilities are available at Hotel Helson like an on-site parking space, restaurant, bar and 24-hour power supply. Hotel Helson also provides additional services on request. These include laundry/dry cleaning, ironing, concierge and 24-hour room services which are available at a reasonable surcharge. Q: Does Hotel Helson have a restaurant? A: Yes, Hotel Helson has a restaurant serving different Nigerian cuisines. Q: Does Hotel Helson have a swimming pool? A: No, the hotel doesn't have a pool. Q: Does Hotel Helson offer free Wi-Fi? A: No, Hotel Helson Limited does not provide free Wi-Fi to guests. Q: Does Hotel Helson Limited have a Fitness Centre? A: No, Hotel Helson Limited does not have a fitness Centre. Q: Does Hotel Helson offer complimentary breakfast to guests? A: No, breakfast is available at a surcharge. Hotel Helson is an affordable hotel in Umuahia, Abia. I love this hotel. Their staff were organised and well trained. The environment is cool and clean, atmosphere very conductive. Everything about this hotel was superb. Have nice pictures of Hotel Helson?